There are no tiles on my homescreen. ...you probably just forgot to choose the content, which should be shown in your homepresets. In order to change that, just go to the menu of the Blappsta plugin and open the tab "Homepresets". Choose the setting "Categories" on the left-hand side and choose the categories, that you want to place on the homescreen. Now you'll only need to save the changes, if you're ready to do so. 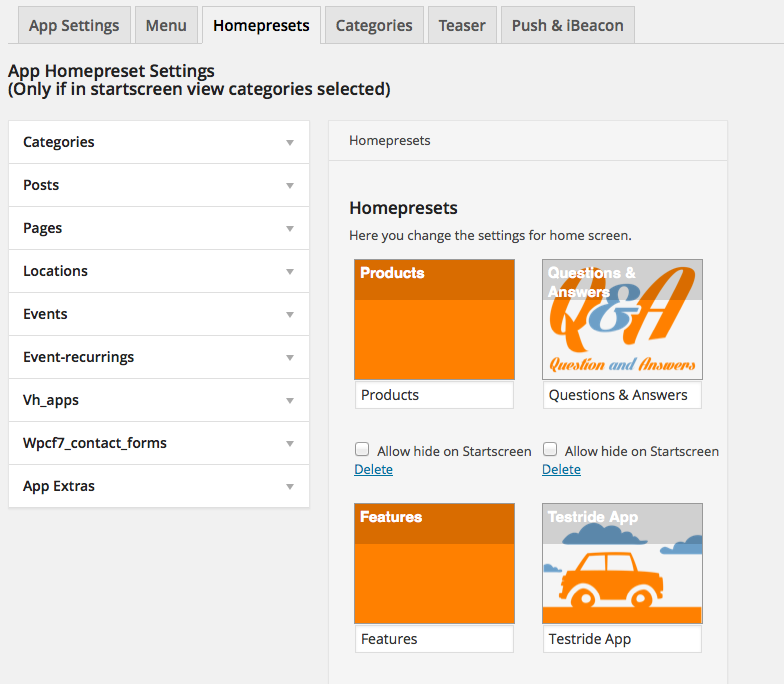 If you rather want to place individual posts on the homepresets, feel free to use the setting "Posts".